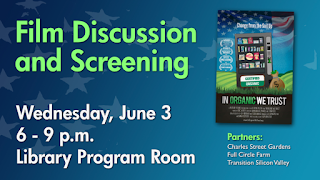 You are invited to join us for a free screening of the film "In Organic We Trust" at the Sunnyvale Public Library, 665 West Olive, Sunnyvale, CA, on Wednesday evening 6/3/15 from 6-9p. Synopsis - We can no longer stomach our food system. It's killing more and more Americans and costing billions in health care. But is organic really better for us or just a marketing scam? 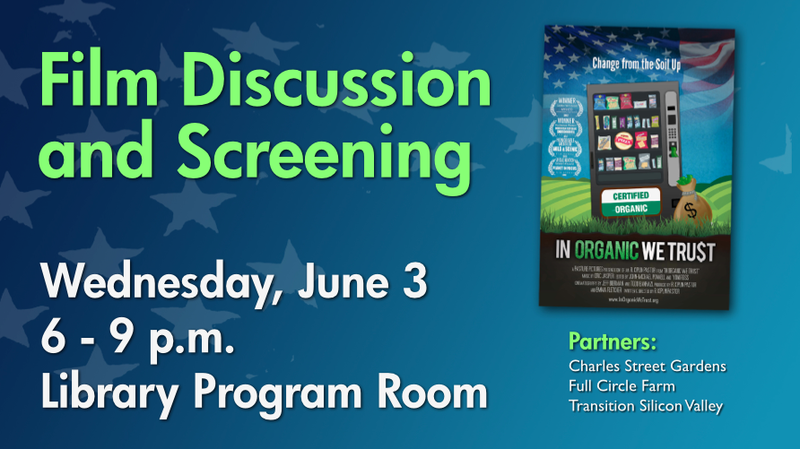 This film looks beyond organic for practical solutions for me and you. Local farmer's markets, school gardens, and urban farms are revolutionizing the way we eat.